When doctors are accused of medical malpractice, it’s most likely because their work performance was described as negligent or subpar and may even have resulted in a deadly error. While doctors are human and “to err is human”, mistakes that involve our health and well-being are hard to accept or forgive. The responding doctors work in a variety of fields: Anesthesiology, Internal Medicine-Family Medicine, Ob/Gyn & Women’s Health, Oncology, Orthopedics, Radiology, and Surgery. 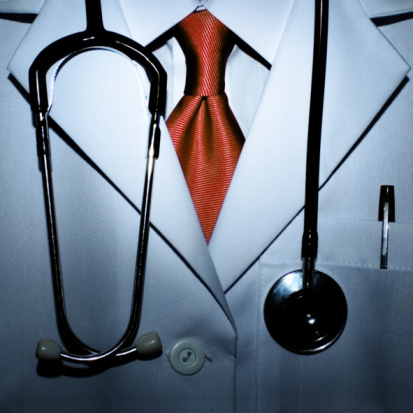 Of all the doctors who responded, approximately 60% revealed that they had been sued at least once. Of the different fields of medicine, the Ob-Gyn & Women’s Health doctors were sued the most with 85%. Surgeons follow with 83%, Orthopedics with 79%, Radiology with 72%, Anesthesiology with 58%, IM-FM at 46%, and Oncology with 34%. While younger doctors, 34 years old and younger, have a smaller chance of being sued (13% said that they were one of the parties named, but 0% said that they were the only person named in a medical malpractice claim), the chances increase greatly by age 54 and up. Results show that by age 54, 64% doctors had been sued at least once and after age 60, the percent rose another 16% (80%). So, it’s likely that a doctor, in his or her lifetime, will be experience at least one lawsuit. While an overwhelming amount of doctors were completely surprised with the action taken against them, most doctors thought the care they gave was standard and would do nothing differently. 51% wouldn’t change a thing while significantly small percentages of doctors would have tried to have better chart documentation, would have tried to phrase things more carefully, and had refused to take on specific patients. and some doctors simply didn’t know why they were being sued. When an error is made, whether one actually believes it or not, it’s always been appropriate and expected to offer an apology. An example of tort reform is laws making apology statements, aka. “I’m Sorry Laws”, inadmissible in court, allowing a doctor to express sympathy or apologize to a patient without worrying that it would be used as evidence of liability. 81% of participating doctors in the survey believed that an apology would not have helped in their case, even if it wasn’t going to be used as evidence, and those who did express remorse or offered apologies saw no difference in the verdict of the malpractice claim.